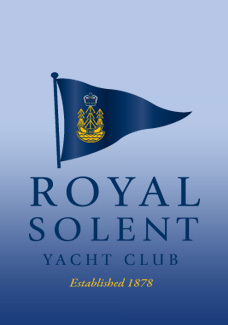 Thank you for your interest in applying for membership of the Royal Solent Yacht Club. The Royal Solent is proud to have a reputation for warm hospitality, good food, a relaxed atmosphere and some of the best views of the Western Solent. 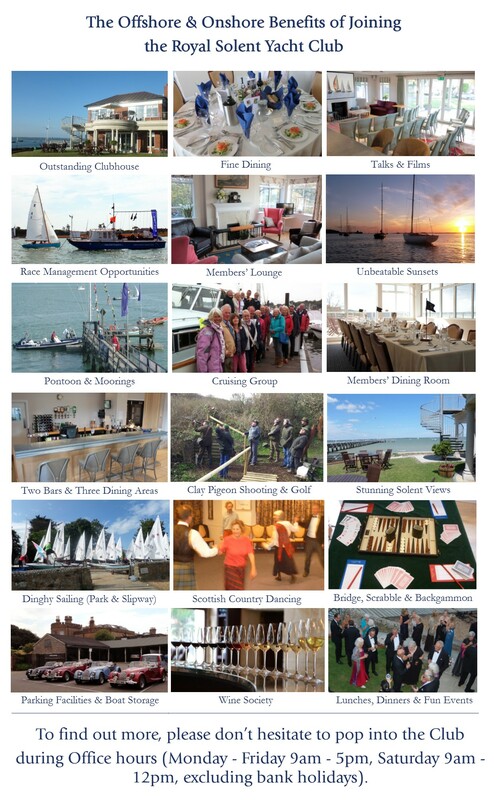 You don’t have to be a sailor to join us - the Club’s extensive social programme offers something for everyone, whatever the age, both on and off the water. Your application should either be supported by a Proposer and a Seconder who have been members for not less than two years, or if you don’t know two such members, we will be very happy to arrange for you to visit the Club to meet with a Club Official. Please refer to the Guidance Notes on the back of the Membership Application Form for full details. Following receipt of a completed application form, applications for membership are posted on the Club’s Notice Board for 14 days before passing through the Club’s Committee system. You are also most welcome to visit the Clubhouse prior to submitting your application and while your application is pending. We are keen to encourage families to the Club and our Family subscription offers membership to any number of children under 18 for £1 when parents join as a couple. Additional member benefits include 10% off food and 15% off drink (excluding private and official Club functions), and discounts for Wightlink and Red Funnel ferry travel. As a member you’ll also benefit from the Club’s affiliation with over 40 Yacht Clubs in the UK, including London, and Overseas. Alternatively, why not visit the Club to pick up a Membership Application Pack and take a tour of the clubhouse at the same time? 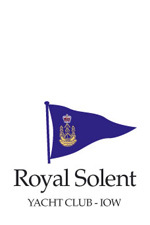 Or contact the Front Office on 01983 760256 or at membership@royalsolent.org.if you would like us to post a pack to you. To view the Club Rules, please click here. We look forward to receiving your application and welcoming you as a member.